This gift includes everything you need to serve a beautiful antipasto spread. 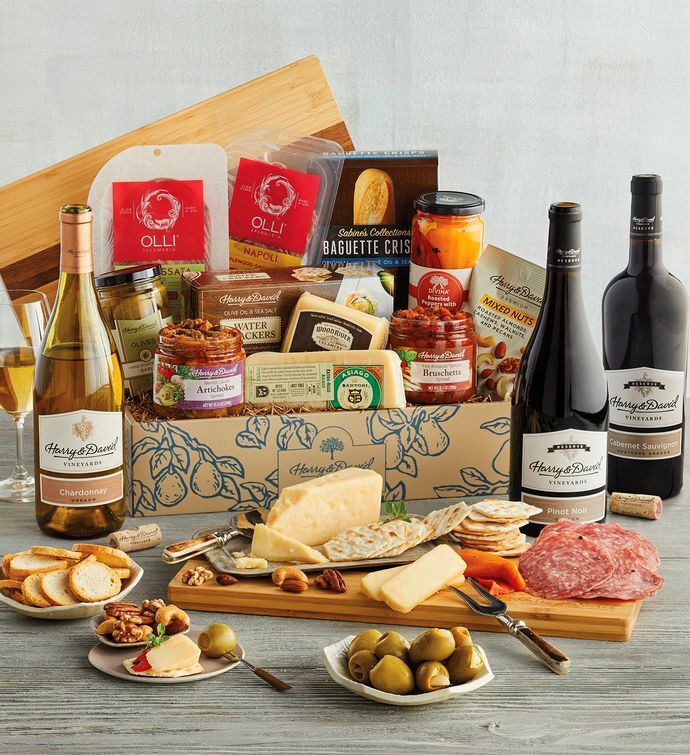 Gourmet foods such as sliced artisan salami and cheese, gourmet crackers and crisps, and roasted vegetables are paired with two of bottles of Harry & David™ wine—our Reserve Pinot Noir and Chardonnay—made from Oregon grapes. To top off this delicious gift, we've added an Acacia wood cutting board and knife set.